Sending home a young woman who refused to wear high heels at the office of a top London accounting firm has created a remarkable reaction. Government ministers are frowning on the practice, the UK Parliament is considering a national debate and many international corporations are rushing to review policies regarding women’s workwear and heels in particular. As companies update the rule books designed to uphold powerful corporate brands they might want to consider other tools for getting the support of staff and contractors: a personal presence audit. Linking personal presence audits to employer values can powerfully align corporate brands and the personal brands of employees. This seems crucial for frontline staff like the woman at the centre of the high heel drama, Nicola Thorp. At the very least encouraging staff to do a personal presence audit can draw attention to potential areas of conflict between how a woman wants to be seen in business and how an organisation wants her to be seen. So what is a presence audit? It involves taking a deep look at how to express your best self in the workplace and has evolved from executive coaching and personal branding. At the heart of the audit is an in-depth, honest and probing conversation with yourself about who you are and who you want to be. The answers help you create a presence statement. The answers also provide an opportunity to compare and link your values to your employers’. Conflicts or alarm bells in this area should be noted and most certainly addressed. The next step is to scrutinise your presence – literally how you show up – and consider where you need to make adjustments. There are two areas to review: personal presence and physical presence. Your personal presence focuses on the internal dialogue you have with yourself because this affects clients and colleagues around you. Do you have a lot of negative self-talk? What’s generating that? What new habits can you start to shift into positive self-talk? Physical presence is to do with body language as well as image and style. Interpreting your presence statement in terms of what you wear throws up challenges and choices. 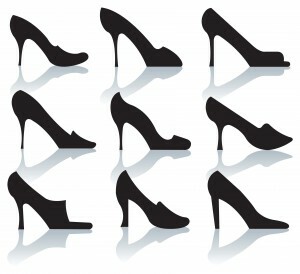 Deciding on flats or heels is partly a matter of personal preference and partly to do with body shape and lines. For women like me who are just under average height and just over average build I would say that flat shoes don’t work terribly well with a business suit. I need the elongation of body line provided by extra inches of heel to create what headmistress Jenny Brown calls the final flourish. She lovingly describes heels as “beautiful in their tapering leanness, their sinuous arches and the magic physics of them”. But she’s wrong to suggest that it has be high heels every time for every woman. Taller women with average builds can look spectacularly smart and professional in flat shoes. There are so many elegant, low heels and flats out there for women who want them. We have Nicola Thorp to thank for making us take a fresh look at modern business wear for women and linking it to core values, personal presence and corporate branding. 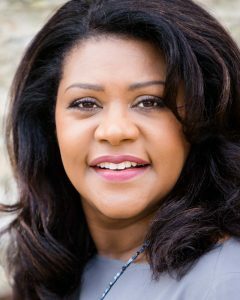 Jacqui Harper is the founder of Crystal Business Coaching. She is a subject expert in leadership presence and personal branding. Jacqui teaches communication courses at INSEAD. and previously anchored news programmes for BBC Television. ← Can Amy Cuddy’s new book on Presence live up to the global success of her TED Talk?